Yep, that's a cow patty....keeping my pictures real authentic! My husband (aka my photographer) kept telling me to "take a step to the right"..."now take a half a step back", which had me trying to stand all around it before I realized he was messing with me. Fun times. On to why we're here>>> I LOVE this outfit, and I feel like I say that with almost every post, but I L-O-V-E this outfit. 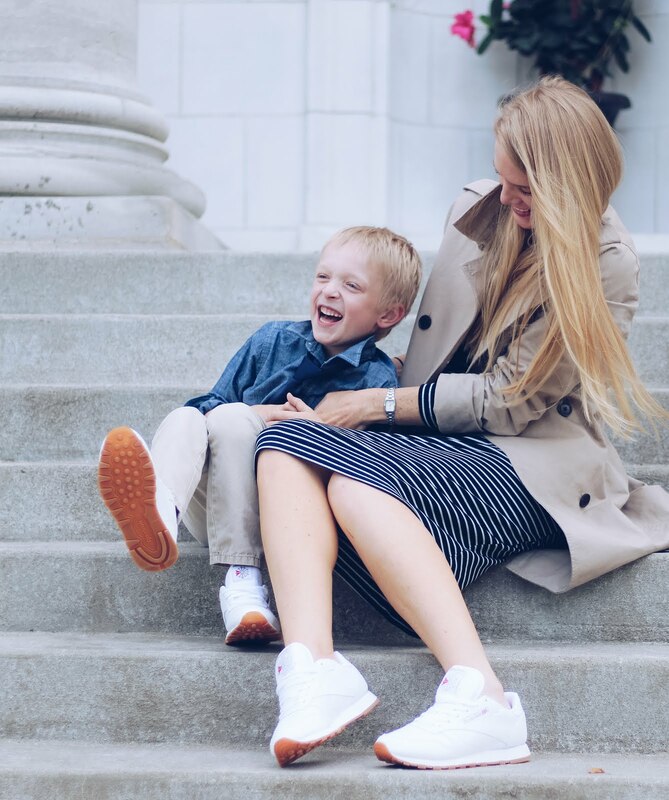 This striped tee dress was a summer staple and by layering it up it makes it work perfectly for fall. 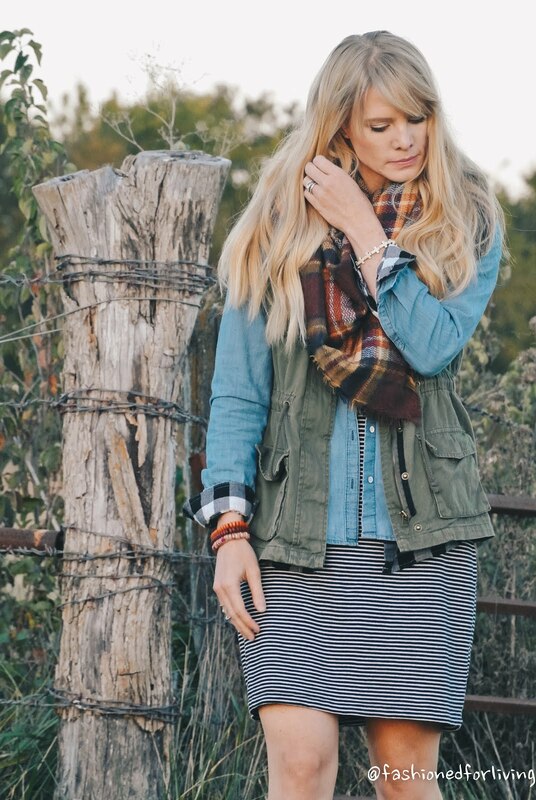 When I say layers, I mean LAYERS by pairing not one but two button up shirts under a olive utility vest. 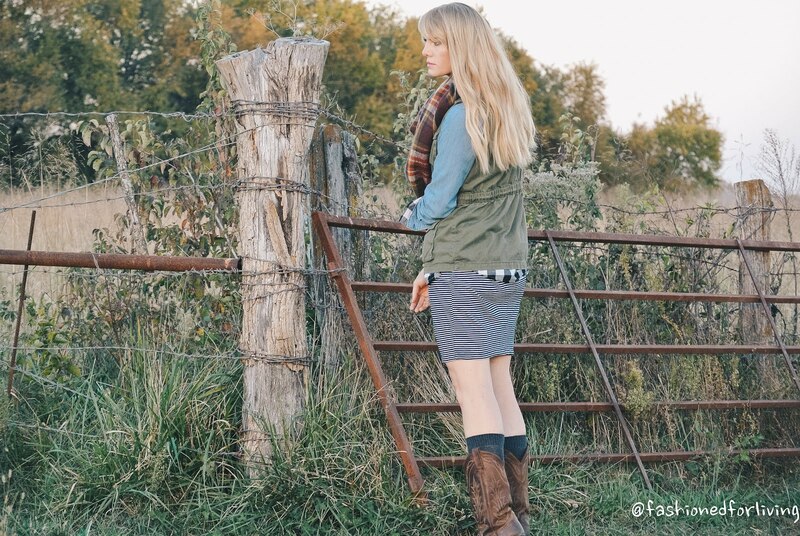 I love how the black and white flannel peaks out under the sleeves of the chambray shirt and vest to had interest and another dimension to the outfit. 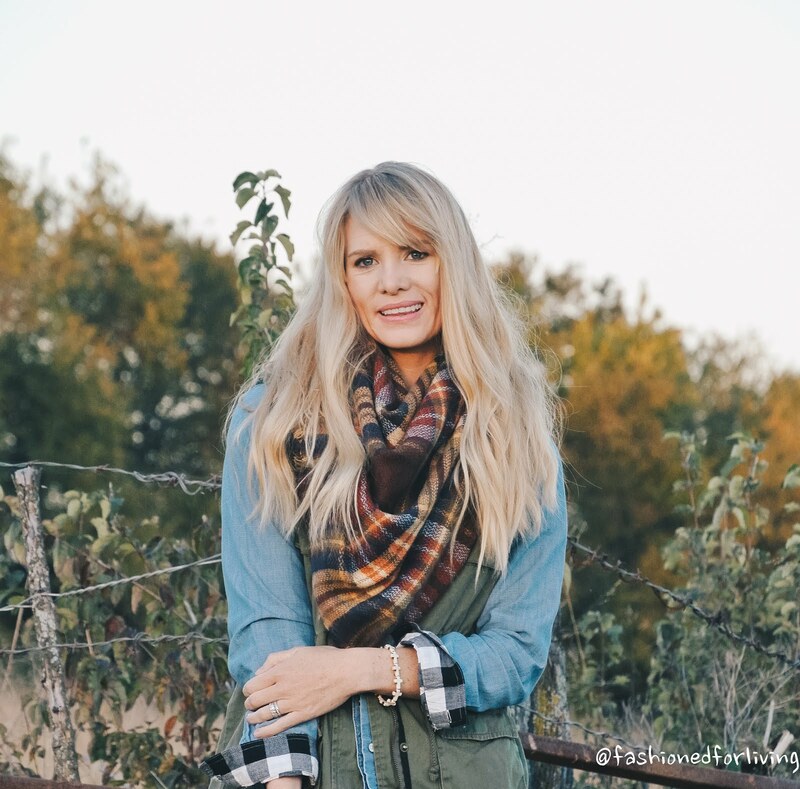 The blanket scarf ties the whole look together and gives lots of good fall vibes. AND you can't forget the boots! 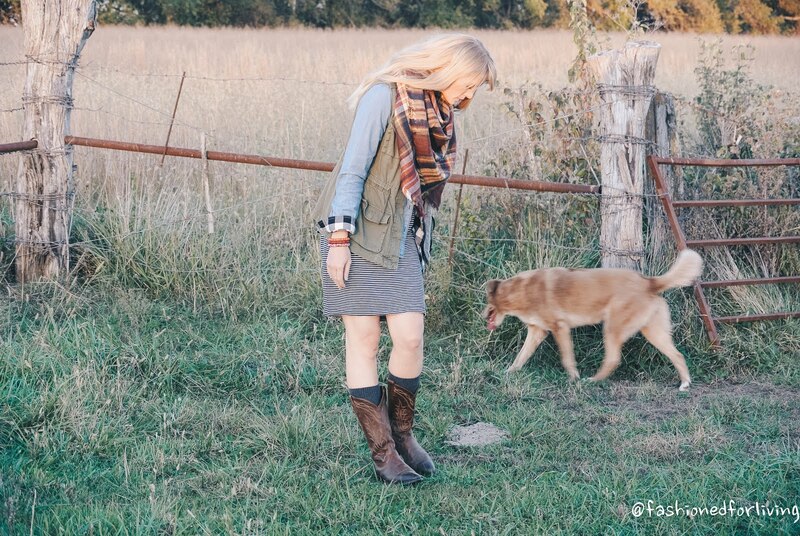 I've paired cozy grey boot socks and my cowboy boots here, but truly almost any boots or booties would look fabulous! For size reference with Old Navy sizing ~ I am 5'9' and shop mainly online from the TALL section. I typically wear medium tall in shirts and with this tee dress I'm wearing a large tall as not to be too tight around the booty. The scarf ~ for full disclosure ~ ilymix.com contacted me on collaborating and being a scarf addict I was excited to add the gorgeous color combo to my collection. This scarf is one of the softest ones I own, and thats a lot!! It's a true square which makes it easier to style. A lot of comparable priced scarves are long and rectangular which can limit the different ways to wear it. I was given a discount off the purchase price and paid for this scarf with my own money.